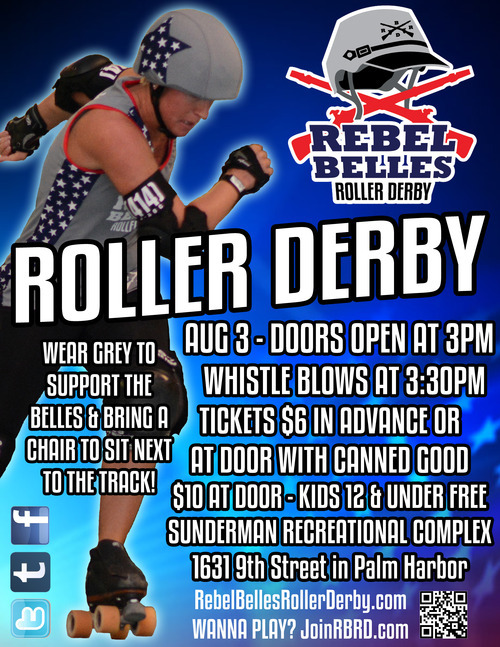 Your OPCDG Straight Jackettes are making their way to Palm Harbor this Sunday to play the Rebel Belles! You can visit the Rebel Belle’s website here. We welcome all OPCDG fans to join us and cheer on your favorite derby girl!